Superior print quality and energy saving technology make Kyocera FS-3900DN printer one of the most sought-after devices for daily office use. Offering incredible 12000 x 1200 dpi resolution, this printer generates brilliant print pages in high-yield production runs, without the added costs associated with other similar models requiring more energy consumption. Manufactured by Kyocera the FS-3900DN printer supplies the type of high-quality print production that professionals look for in their work. Easy-installation with PC networks, laptops and smart devices, this Kyocera printer model offers uninterrupted printing runs at a lower cost for cartridge replacement. The machine comes with a 500-sheet universal paper cassette, and 100-sheet multipurpose tray. It also only takes up to 10.5 seconds to create the first printout of a given job. One of the major selling points for this model is that it’s a very quiet device, even though it can handle fast print speeds and large volumes of work. Take the costs out of the print production cycle, by taking advantage of Kyocera FS-3900DN printer capabilities. 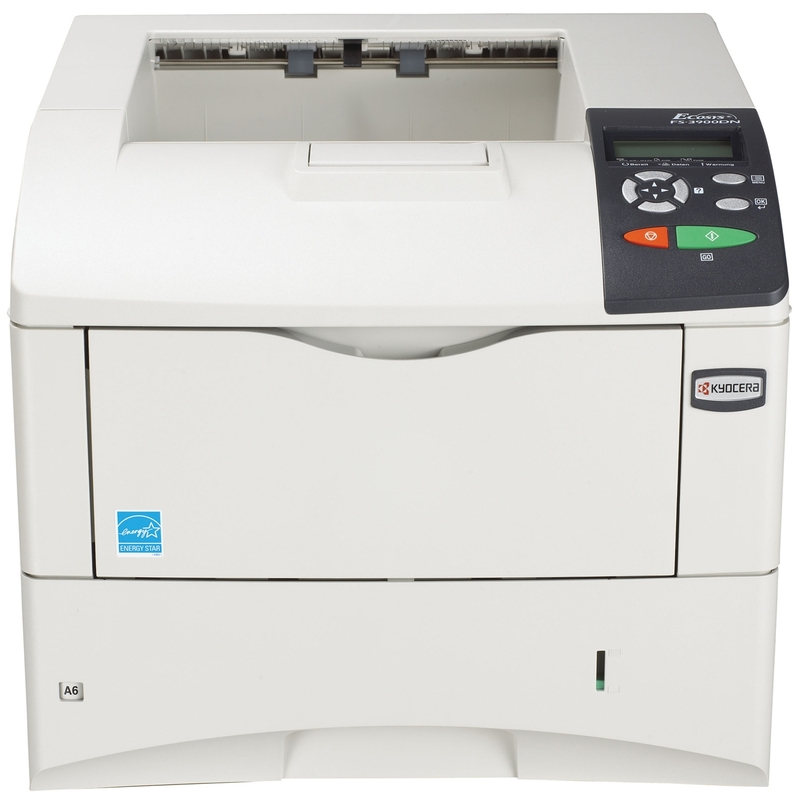 With an engine speed of up to 35 ppm A4 simplex and up to 25 ppm A4 duplex, this ECOSYS technology laser printer uses AC 220 - 240 V, 50/60 Hz power consumption, and is an energy efficient unit that meets ISO 9001 quality standard and ISO 14001 environmental standards. Equipped for integration via USB direct, or by way of Ethernet or WiFi, this printer is modern replacement for older, out-of-date printer models no longer providing the best value for money. The Kyocera FS-3900DN does not provide easy html page access to specifications indicating operating system compatibility. This factor aside, we can assume that no disadvantage exists with Mac, Linux, Windows, yet those with alternate OS are left wondering if it will do? The upside to purchasing this Kyocera printer is that it comes with a limited 12-month purchase guarantee. Source a reliable retailer of brand name compatible replacement accessories to ensure uninterrupted printing once installed.